Could it be Misophonia or LFT? Are there sounds that drive you up the wall? Does pen-clicking, gum-smacking, or knuckle-cracking send you into a tizzy? Depending on the severity of your irritation, you may have misophonia, but most likely you merely have low frustration tolerance (LFT). Misophonia was first identified about twenty years ago as selective sound sensitivity syndrome. 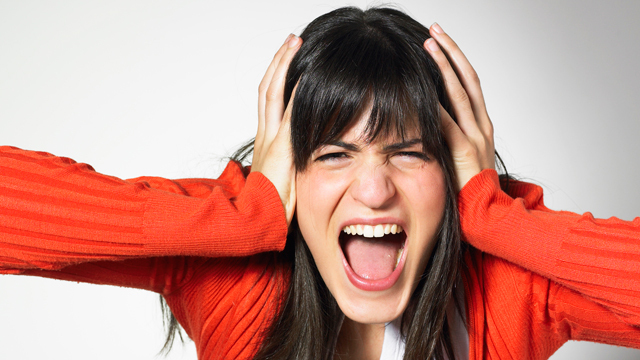 People who suffer from this auditory hyper-responsitivity (called misophones) react to certain sounds with a burst of rage, disgust, and sometimes, physical aggression. Misophones have acute responses to specific triggers. Some say misophonia is a decreased sound tolerance, not a mental health issue. It isn’t listed as a disorder by the American Psychiatric Association. Others recognize it as hyper-connectivity between the auditory and limbic systems, giving it shared traits with other mental health disorders such as PTSD, ADHD, autism, and other sensory processing disorders. Misophonia may be an overlooked symptom of obsessive compulsive disorder (OCD), or its own subcategory, since the misophone becomes obsessed by the sound and is compelled to physically respond, whether by fight or flight. Similarly, many misophones have been found to have obsessive compulsive personality disorder. People with mood and anxiety disorders show sound sensitivity, but this is more closely related to LFT. Misophones are, however, often quite depressed, isolated, and anxious as a result of their sound fixations. Many sounds may bother you, but that is indicative of LFT rather than misophonia. LFT is a learned irrational intolerance for discomfort; it could be any distress, not just sound. Believing “I can’t stand this” intensifies the adverse reaction, manifesting in agitation, negativity, and avoidance. This exaggeration leads to lethargy, procrastination, addiction, and a focus on short-term comfort over long-term goals. Regardless of the diagnosis, symptoms are treated according to the severity of the situation. Treatment ranges from self-care to therapeutic intervention to medication. Basic coping skills include using earplugs, sound machines, and music. At the next level of self-care, rest, exercise, good nutrition, and relaxation techniques such as a walk, a hot bath, or meditation and yoga can enable sufferers to manage LFT instead of react to it. When therapeutic intervention becomes necessary, we look to mindfulness strategies, desensitization, and cognitive behavioral therapy (CBT). Mindfulness teaches us to accept the present moment without judgment or control. We don’t have to approve a situation, but we don’t have to resist it either. Desensitization exposes us to the thing we cannot stand, as we progressively allow the discomfort to diminish. Most effective is CBT, during which we replace the exaggerated thought with one that allows us to keep the discomfort in perspective. For example, as I was writing this article, a worker was hammering away on my gazebo. For a moment, I found the sound maddening. I could have taken that as a cue to stop writing, but decided to reframe my thinking by saying, “I prefer peace and quiet, but fixing the gazebo is important so I can manage.” This thought change enabled me to de-escalate that awful feeling into a more tolerable one, keeping the discomfort in perspective. These are times when a little self-talk can go a long way.